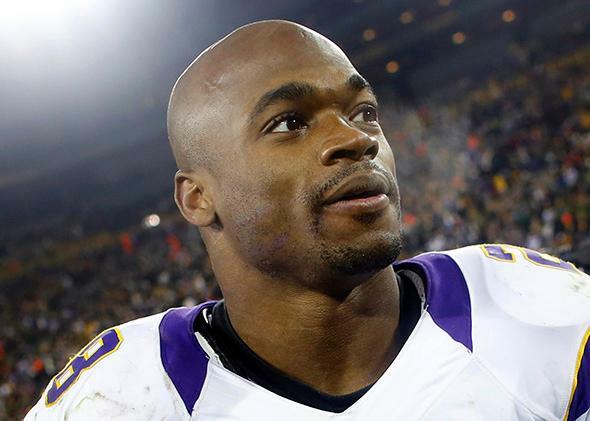 Adrian Peterson and corporal punishment: Hitting children teaches them nothing but violence. Minnesota Vikings running back Adrian Peterson leaves the field after a season-ending loss to the Packers in Green Bay, Wisconsin, on Jan. 5, 2013. Of course he did. I know all about Peterson’s world. I grew up in East Texas, about 40 miles from where he struck his son. I was never hit with what Peterson calls a “switch.” My parents didn’t believe in corporal punishment. But the public schools did. That’s where I was paddled. I can tell you what kids learn from being hit. They don’t learn whatever you’re telling them while you’re hitting them. They learn about hitting, and about you. When violence is the medium, violence is the message. My public elementary school began every day with a Christian prayer over the loudspeaker. By sixth grade, kids were getting paddled. One teacher was so well known for her corporal punishment that boys made paddles for her in wood shop. She hung the paddles in her classroom. They had holes drilled through them for extra velocity and bite. Study after study documents this pattern. It suffuses every interaction between adults and children: love, cooperation, exploitation, violence. The strongest predictor of whether a child thinks it’s OK to hit kids, and whether he’ll grow up to do so, is how often he’s been disciplined that way. Light spanking isn’t as bad as wielding a tree branch. But it’s part of the continuum. Researchers call this the “hidden curriculum”: Corporal punishment teaches itself. But when you hit a child for hitting another child, the hitting does all the talking. That’s the upshot of a recent study of more than 100 children and their parents. Every parent who approved of spanking a child for hitting a sibling passed this belief on to their kids. And 79 percent of kids who came from homes with lots of spanking said they’d hit a sibling for trying to watch a different TV show—almost the same scenario that led to Peterson’s beating of his son. According to the researchers, “Not one child from a no-spanking home chose to resolve these conflicts by hitting.” The kids absorbed the model, not the lecture. Peterson isn’t a monster. Nor are the millions of parents who spank their children every day. Raising kids can be frustrating. You try so hard to make them behave, but they just don’t listen. You hope a spanking will get their attention, and it does. But they’re not listening to your words. They’re listening to the switch, or the belt, or the sting of your palm. With every blow, you’re losing contact. Remember that the next time you raise your hand.